A syringe full of doctors? 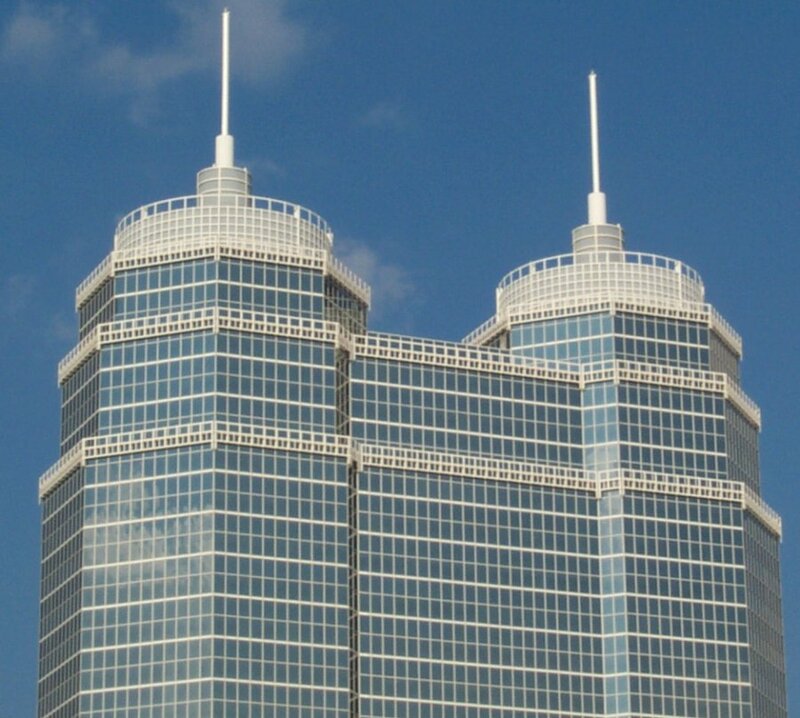 This building is the Saint Luke's Medical Tower in the Texas Medical Center. It's full of doctors' offices (including a cardiologist I visited a couple of times), most of who practice at the nearby CHI St. Luke's Health-Baylor St. Luke's Medical Center. 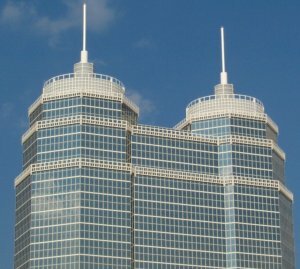 To my eye, the building bears a distinct resemblance to a syringe... when I tell that to people, they think I'm a bit weird. Then, when they think about it, they generally realize it really looks like a syringe! Traveling by the light of a burning wagon? The name "Wagonlit" is from the French for "sleeping cars." (I was curious about the meaning of the name... a company representative pronounced it "Vah gon leet.") However the name "Wagonlit" makes me think of a possible scene in a Western movie. The Indians are attacking with flaming arrows, and the cry goes up: "We've got a WAGON LIT!" But... you don't pay to use the freeway! 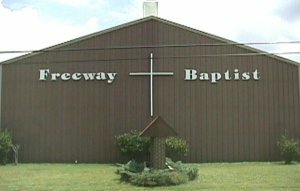 I was zipping down a road around Houston when I noticed the Freeway Baptist Church. 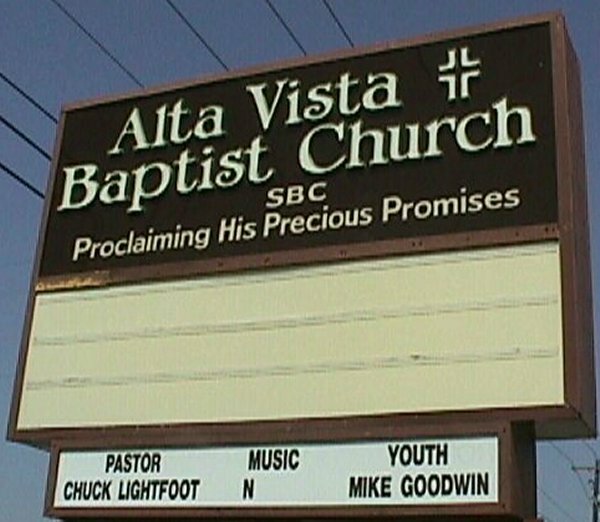 This would not be such an unusual name (Houston has a lot of freeways and a lot of Baptist churches), except the "Freeway Baptist Church" sits right next to the Sam Houston Tollway! In this view (the building shown above is on the right edge), the access road to the toll road is on the left. The green outcropping on the left side is a toll road overpass. 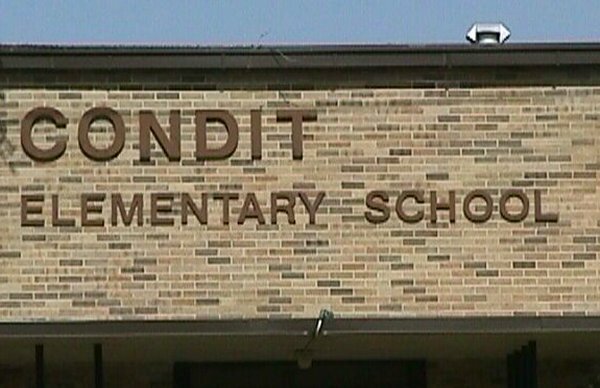 Named after the Chairman of the Board? What caught my eye here? 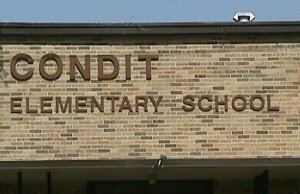 This Houston area elementary school shares a rather unusual last name with the retired Chairman and CEO of Boeing (not to forget a former California congressman!). Church of the Internet Index? The Internet index is www.altavista.com. 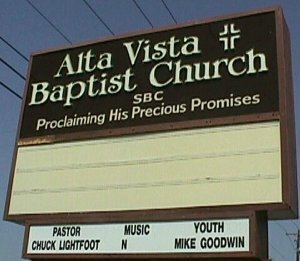 The Church was also on the Internet, at www.altavista.org (but no more) - probably too many people looking for the Internet index visited the church's Web site.